Payment system technology is forever expanding with contactless cards seemingly becoming the norm in the space of just a few years. The age of good old fashioned cash is dwindling and the age of the digital wallet is dawning. Indeed, in 2018, digital payments officially leapfrogged cash as the most popular form of payment in the UK, with just 40% of payments made the ‘old fashioned way’. By 2026, it’s predicted that figure will have fallen to just 21%. With the convenience of digital payment, it’s easy to see why so many consumers and businesses have latched onto it. It’s also easier to track and makes serving a customer that much quicker. But what are the primary forms of digital payment currently making life easy for us in the UK and are they really all they’re cracked up to be? Contactless payments have become standard in recent years in the UK, with most major banks now including the technology in their modern cards. The £30 spend limit, however, means that whilst you might be concerned about security, even if your card is lost or stolen, it would require a very enterprising criminal indeed to get away with stealing much more than a few rounds of drinks. Contactless payments have even circumvented the cards themselves in recent years thanks to systems such as Apple Pay and Samsung Pay. 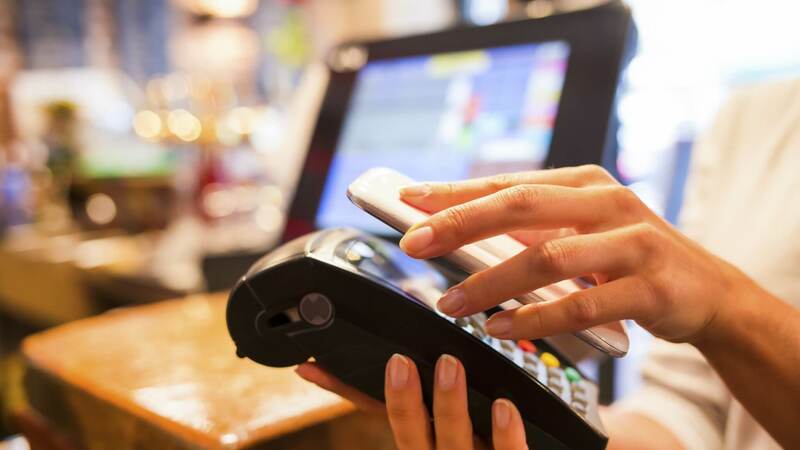 These technologies use the Near Field Communication (NFC) technology found in most modern phones to link a digital wallet to any card of your choice. The phones then act as the card would, so even if you leave your wallet at home, in certain cities, you might quite feasibly be able to get by. Indeed, in the near future, you might even be able to ditch the wallet entirely! Imagine how freeing (not to mention safe) that would be. For those users that don’t trust their phones or perhaps older users who don’t have access to a modern smartphone, there are wearable devices that work in the same manner as contactless and mobile payments. Using an NFC chip embedded in a sticker, key fob or wristband, debit or credit card users in the UK can use these nifty little gizmos by signing up online and transferring funds to their ‘bPay’ accounts. Whilst years ago opening a bank account would mean having to book an appointment at your nearest brick and mortar high street branch, modern FinTech solutions allow you to organise your finances from your computer or smartphone. Having your finances so closely tied to your smartphone with an online banking service like Think Money means you’ll be able to better manage your budget and syncing it up with other payments methods is often very simple. Certain FinTech solutions even allow you to pay without tapping by using QR codes.